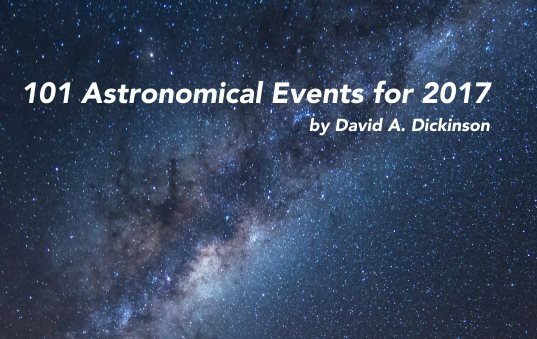 Get this free ebook to get ready for this year’s observations of the night sky. It’s written by David Dickinson and completely free to download. This is a well written book with a lot of effort put into the writing. Please find it at the best site about space and astronomy: Universe Today. David is a writer at the site and you can find him on Google Plus, at Astro Guyz and other places online. More about the book here. Other contributors are Cory Schmitz from PhotographingSpace and Paul Stewart from Upside Down Astronomer. Ok, it’s my own list but I doubt it only reflects my opinion. There are many really good sites online but if you can only remember five sites the above list is enough to keep you informed and involved in everything related to space and astronomy in 2017.